With Valentine's Day just around the corner I was inspired to make some I-Cord hearts. I absolutely love that they are so simple to make and that there's so many things you can do with them too! The red and white hearts are made from a double strand I-cord about 14 inches in length. 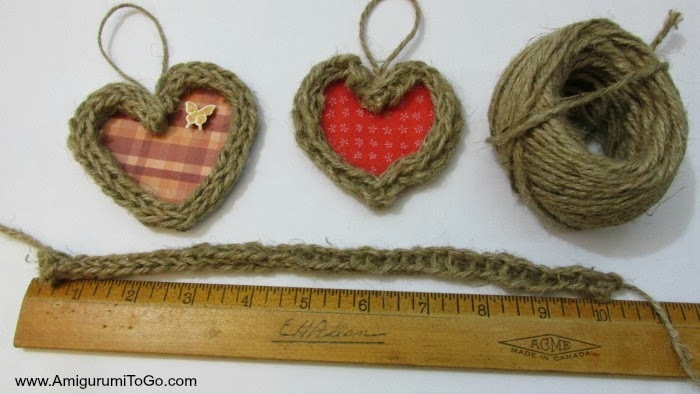 The twine hearts are made from a single strand I-cord about 10 inches in length. 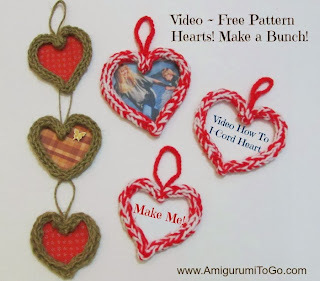 These are just what I made in the video tutorial but you can make the cords any length you want. 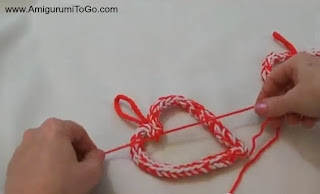 2) Shape the cord into a heart and sew the two open ends together.Then shape the heart again and pinch off the bottom, in the middle then sew the pinched part together. Hide all the yarn tails inside the I-cord when done. 3) The loop to hang the heart is a chain of 25. You can make this any length you want. 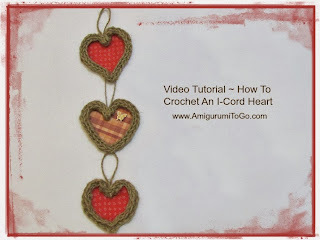 Sew the loop into the top, middle of the heart and hide the yarn tails inside the I-cord when done. 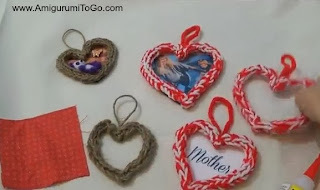 4) Decorate the hearts as you wish! 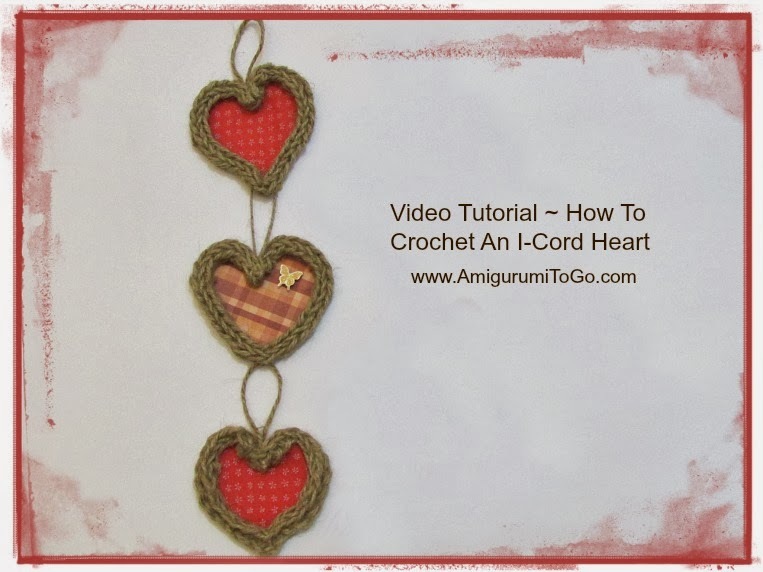 I hope you enjoy making my Valentine I-cord Hearts and if you made one please post pictures on my facebook page, Amigurumi Freely as I would love to see them!